Need to create screening from your neighbours? 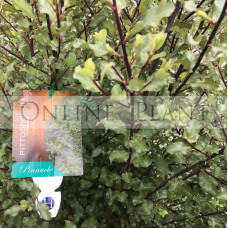 Pittosporum Tenuifolium plant varieties will be the ideal option. 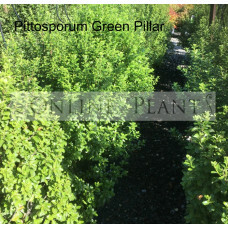 Its hardness, fast & bush growing nature makes Pittosporum hedge plants a perfect screening tree. 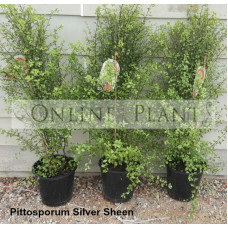 There are about 20 Varieties of Pittosporum hedge plants available that are perfectly suited for Australian gardens. 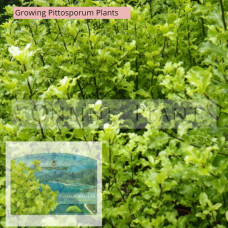 Based on the Pittosporum plant varieties you choose, you can create screening, hedging, borders or simply grow as an ornamental shrub or a tree. Ideal Place to Grow: most Pittosporum varieties grow well in direct sun or part shade, infertile and well-drained soil. These plants grow well in coastal areas. Today there are over 100 forms of this popular screening plant available. 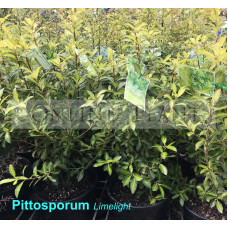 Online Plants have the best range of Pittosporum from the best growers in Australia. Pittosporum is a favourite for many Australian gardens. Evergreen and very hardy they are ideal as screening trees or low hedges depending on the variety. 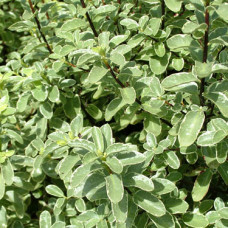 Online Plants has an extensive range of hedging varieties such as Pittosporum Tenuifolium, Pittosporum screen master, silver sheen, sunburst, limelight, James Stirling, ivory sheen, green pillar, silver song, gold star and garnetti, all of which attain various heights between 6-12 metres, as well as lower growing forms such as golf ball and miss Muffett. 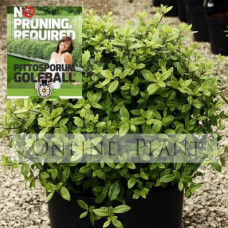 The new release golf ball Pittosporum is excellent as a low border plant as it only grows to 30cm tall and requires little if any trimming. Superbly decorative Pittosporum growing to 5mt high and 2mt wide. Ideal for dense screening. H..
Another terrific Pittosporum form available from Online Plants. 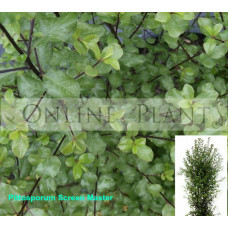 Pittosporum Tenuifolium Green ..
Pittosporum Tenuifolium Limelight is a slightly larger foliage form of Pittosporum highly recom..
Pittosporum tenuifolium screen master is a vigorous, bushy and upright form. Grows be..
Pittosporum eugenioides 'Variegatum' is an old time favourite amongst Australian gardeners..
Pittosporum Hole in One is the perfect, low maintenance hedging plant. 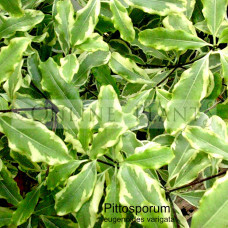 It is a vigorous grower, yet ..
A compact Pittosporum that has bright jade green foliage. It can get to a size of 3m tall by 2m wide.. 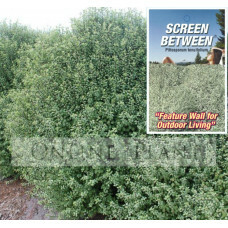 Dense, evergreen narrow screening pittosporum. Very vigorous and hardy. 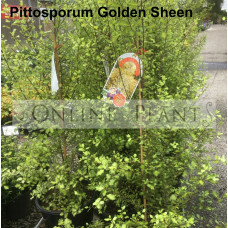 Buy Pittosporum P..
Pittosporum Screen Between is new release screening plant proving very popular in Australian gardens..
Pittosporum Tasman Ruffles this a hardy, durable small evergreen shrub has jade green fol..
Pittosporum tenuifolium Golden Sheen - another superb new release form of Pittosporum available thro..
One of our favorites here at Online Plants. 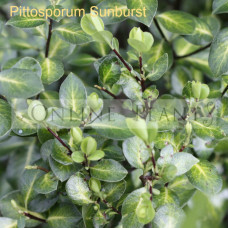 Pittosporum tenuifolium golf ball lives up to ..
Pittosporum tenuifolium Ivory Sheen is a less common form of this popular evergreen hedging plant.&n..
Buy Tenuifolium PIttosporum Sunburst tree Online from Online Plants Australia. A beautiful ornamenta..